As we approach the seventieth anniversary of the most significant UFO event of all time, bestselling author Donald R. Schmitt takes a fresh look at the renowned incident. 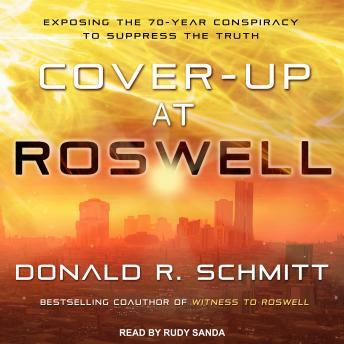 Previous books on Roswell, including his, have focused on the witnesses, their families, and the history of the case. Cover-Up at Roswell catalogs the extreme measures the U.S. government exercised to suppress the truth.